The Electric Handpiece Operative Dental Motor is designed to convert a standard air dental delivery system to a powerful electrical handpiece system that can be used for numerous dental applications. 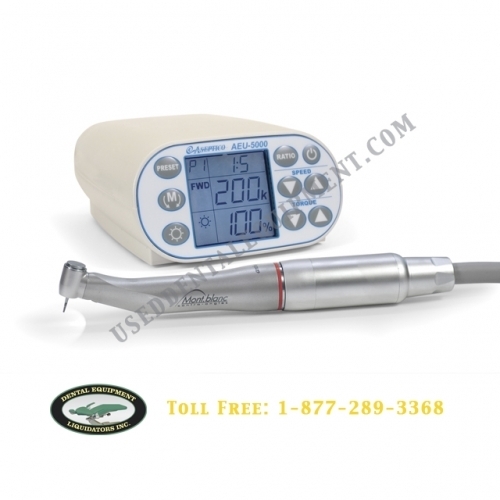 This dental motor features endo functionality, fiber optic intensity adjustment, a compact and easy-to-clean console, a large backlit display, an intuitive user interface, and a 40,000 rpm brushless autoclavable micromotor. Our innovative LED technology produces the brightest dental handpiece illumination in the industry. 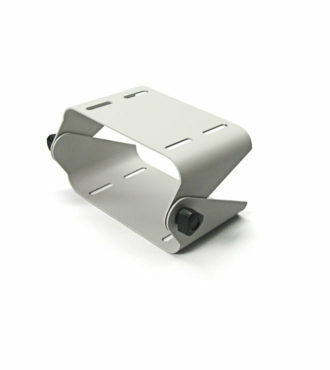 Enable or disable any of the above handpiece ratios so that only user-desired handpieces are selectable on the display. No other electric operative motor allows this level of customization! 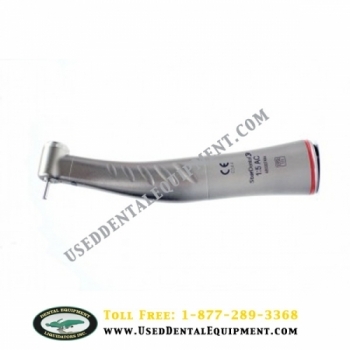 The Star 1:5 AC Electric Endo High Speed Dental Handpiece features fiber optic capability that provides ample illumination when used with a fiber optic motor.